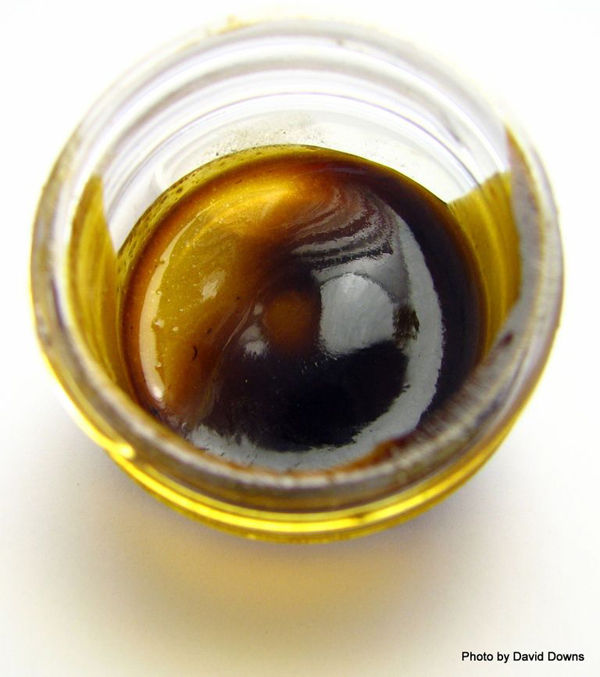 There are many ways to get extracts from cannabis using different solvents. Most popularly used solvents include butane, water/ice, and isopropyl alcohol. You can also use high proof liquor as well, if that’s what you prefer. However, you can also use acetone to extract THC from plant matter and according to the Cannabis Cultivation; A Complete Grower’s Guide, this is one of the best ways to obtain an extract for making hash oil. This process is very easy and the tools needed are easily obtainable in everyone’s state. If you follow the directions properly, you will be left with a desirable product that will get you seriously stoned. If you’re using pot directly from the garden, be sure that you separate the stalks from the buds and leaves. While leaves contain low amounts of THC, they can still be added to the extraction process to add a little more to your final product. It’s recommended that you use buds, as extracts from buds are two to three times more potent than those with trim, leaves, and stems. Be sure that you remove any seeds that you find, as they can effect the final product’s taste and leave a not so desirable flavor in your mouth when smoking. Super- dry your buds by using a microwave oven. Put the plant matter in the microwave for a few minutes at a time until it crumbles to a powder at the touch. This is to help activate THC in the plant matter and will also help more THC absorb in to the acetone. Using a blender or coffee grinder, turn your now super-dry plant matter in to a powder. Once it is ground up thoroughly, use a flour sifter and sift the pot powder in to a large Pyrex dish. Take the acetone and pour it over the plant matter in the Pyrex dish. Be sure that the all of the plant matter is covered and then place a sheet of aluminum foil over it, like a lid. Let this dish sit in a cool place for at least two days, away from naked flames. Be aware that acetone is EXTREMELY flammable and it’s important to keep flames away from the solution while evaporating. After two days, take the remaining liquid (not all of it will have evaporated, thanks to the tinfoil lid) and pour it through a funnel lined with unbleached coffee filters (two should work, just be careful to let the liquid fully drain in case it takes a bit… You don’t want to waste any!). Pour this liquid in to a new container. If you’re using a crockpot for Step 6, you can pour the liquid directly in to your ceramic crockpot container. The last part of the process requires a slow cooker or a crock pot. Add your acetone solution to the crockpot and put it on low heat. This step needs to be done outside! Acetone fumes are very volatile and can ignite easily. By leaving this solution outside, you allow the fumes to evaporate directly in to the air. Once all of the liquid has evaporated, you are left with oil at the bottom of the container. Scrape it with a razor or another sharp object and wipe it on to parchment paper. You now have a smokeable product that is sure to get you stoned. Enjoy!